According to the Belize Fisheries Department, the wild-capture fishery sector contributes significantly to the country's economy. It brought in approximately $29 million in 2012. 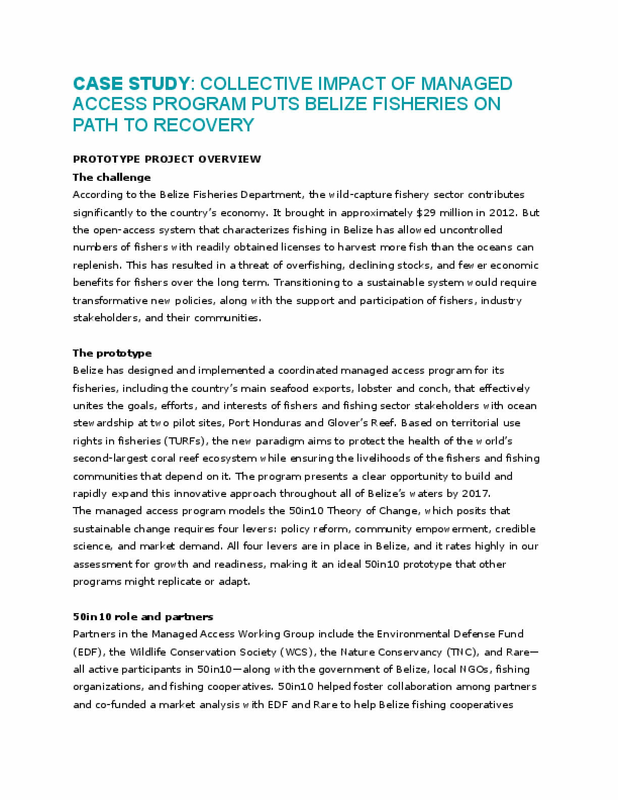 But the open-access system that characterizes fishing in Belize has allowed uncontrolled numbers of fishers with readily obtained licenses to harvest more fish than the oceans can replenish. This has resulted in a threat of overfishing, declining stocks, and fewer economic benefits for fishers over the long term. Transitioning to a sustainable system would require transformative new policies, along with the support and participation of fishers, industry stakeholders, and their communities.